Did Groupon Have A Terrible February? 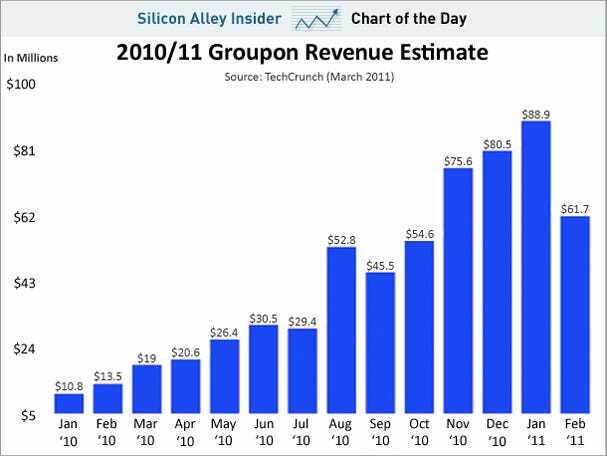 Groupon's U.S. sales collapsed in February according to data gathered by a TechCrunch source. The source ran a program that collected data off Groupon's site to tabulate sales. The data might not be dollar for dollar accurate, but it could easily be accurate from a direction perspective.